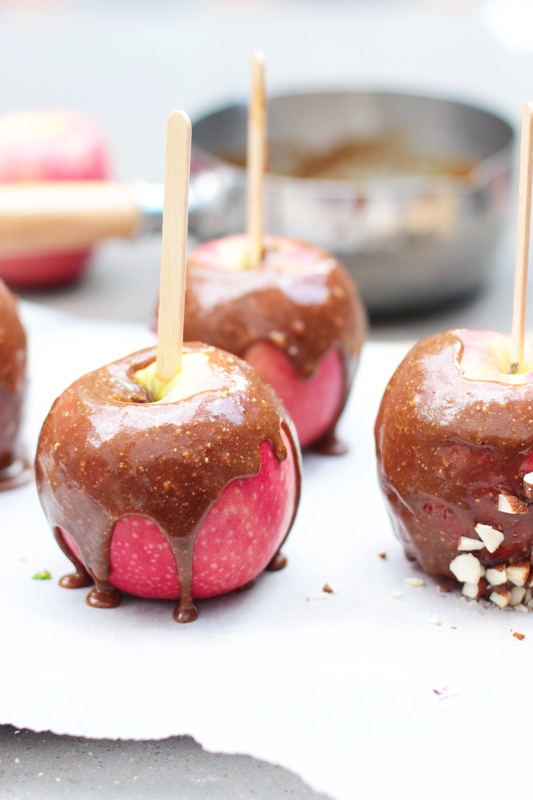 I couldn’t resist sharing a recipe for toffee apples with Halloween so close! These are so simple, they’ll be ready in a few minutes. The toffee is super sticky and you can decorate them with loads of different toppings so they’re perfect if you have little hands who want to help. Add the coconut milk, cashew butter and coconut sugar to a small saucepan on medium heat. Whisk it together well. Let it all melt together, whisking continuously, for a few minutes until the coconut sugar has dissolved and you have a thick, smooth mixture. Push the popsicle sticks through the top of the apples. Spoon the toffee over the tops of the apples and use the spoon to spread it around. If you like, carefully roll the sticky apples in nuts or coconut etc. Leave to cool on a some baking paper and then serve. 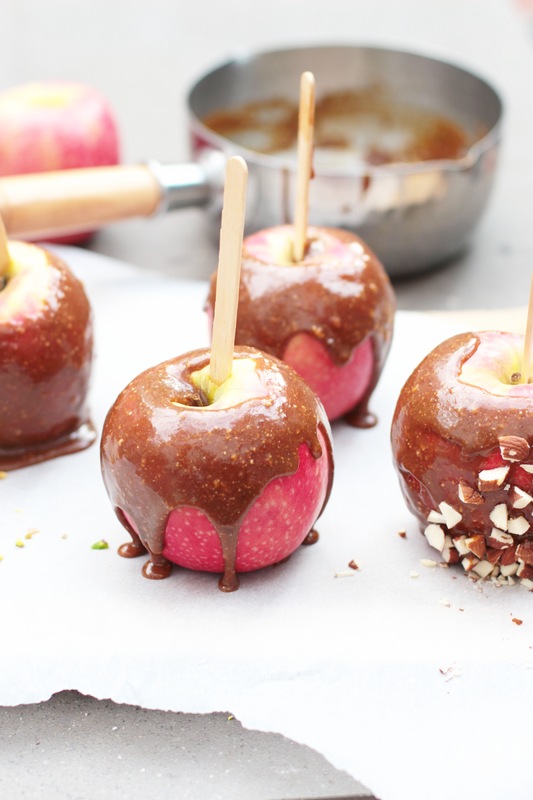 PS they’re much easier to eat if you half or quarter the apples before adding the toffee but they look amazing whole!